Sanjay is currently the CEO of Raymond Lifestyle and is responsible for textile, apparel and retail businesses. He is also an executive board member of Raymond Apparel Limited and Raymond UCO Denim Limited. His mandate is to transform Raymond from being a suiting manufacturing behemoth with a 90-year legacy into becoming a cutting-edge fashion retail organization in India, and selectively globally. Over the last 4 years, Raymond has continued to align its ‘Vision and Strategic Execution’ with its core evolutionary purpose. During this period, the company has more than doubled its revenue, tripled its profit and increased the enterprise value by over five times. Besides a little under 5 years in the textiles industry, Sanjay has over two decades of prior work experience with 10 years in FMCG and 10 years in Telecom. 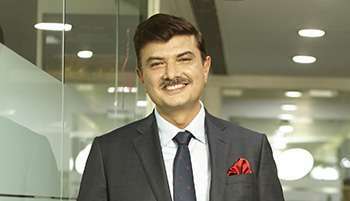 He has worked with Hindustan Unilever, Nokia and Reliance in diverse functional and business leadership capacities across all the organizations – in India, Asia Pacific and globally. He has led some of the top Indian and global brands – Vim, Surf, Rin, Sunlight, Nokia, and Reliance, amongst others. Sanjay brings with him a wealth of business and brand leadership experience, ranging across consumer goods to service industry – project set-up, operation scale-up and managing large established brands and businesses. Through his career he has led teams of diverse skill sets, experience, scale, structures, locations, cultures and nationalities. His strong consumer focus, executional excellence, innovative marketing models and entrepreneurial drive has ensured sustainable, profitable and exponential business growth in all his assignments. Apart from numerous industry awards in India and globally, he also has three global IPR’s in Brand & Marketing Operations. Sanjay graduated from IIT BHU (Varanasi) and is an MBA from Sydenham Institute of Management, Mumbai. He is also an avid enthusiast of technology and gadgets, a die- hard cricket aficionado and enjoys painting in his leisure time.